You are here: Geeks R Us Affordable Computer Repair and Web Design / News & Stuff / Give us your feedback! We are ALWAYS looking for ways to better serve our customers! This starts with how you feel about our services. We invite you to comment about our service. This ensures we are focused on giving GREAT customer service @ Affordable prices. Also feel free to rate us on Yahoo!, Google, Bing, Yelp or any other media that you use. 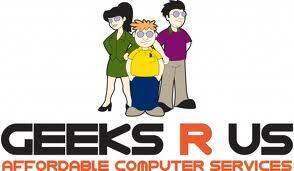 Thank you for choosing Geeks R Us Affordable Computer Repair. Please specify which location you have been serviced @. 3 Responses to Give us your feedback! Really, really nice!!!! They do what they promise and quickly. I trust them! Great bunch of guys and very friendly. I had to go back twice, but they took care of the problem and showed me a few things I did not know how to perform. wow, these guys are great. Mike in the Corona store took very good care of me and i can’t wait to go back. Honest, trustworthy, affordable,super knowlegeable!